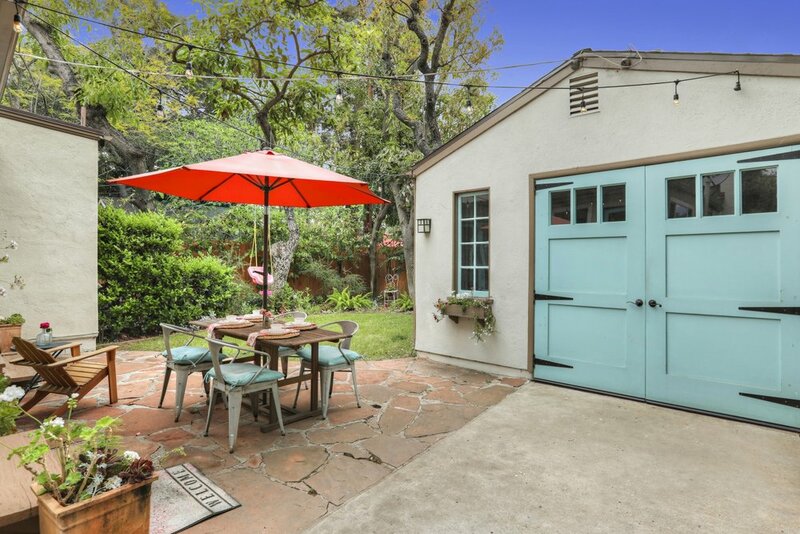 This charming Pasadena cottage sits on a picturesque tree-lined street with undeniable curb appeal. 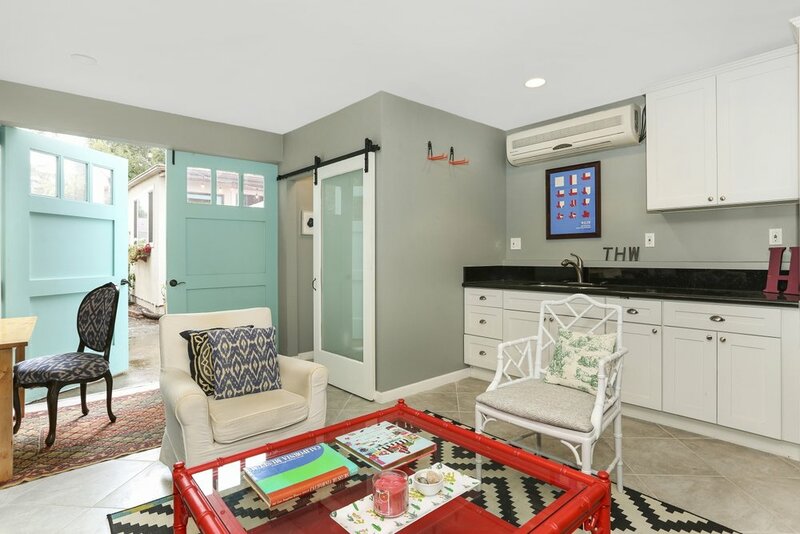 Inside, you’ll be welcomed by a thoughtfully designed living area featuring a gorgeous Batchelder tile fireplace, original built-in book shelves and rich hardwood floors that flow seamlessly throughout the home. 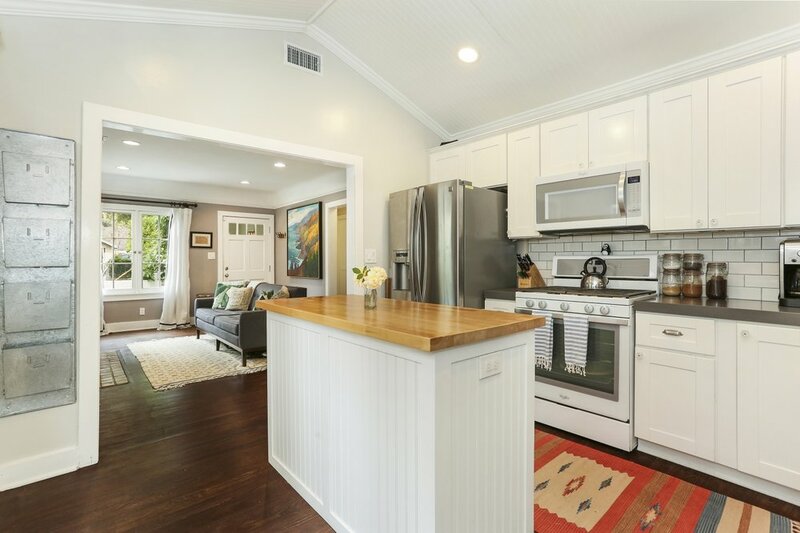 The bright and airy kitchen has a vaulted ceiling and includes modern appliances and an entertainment bar that leads into an open dining area. 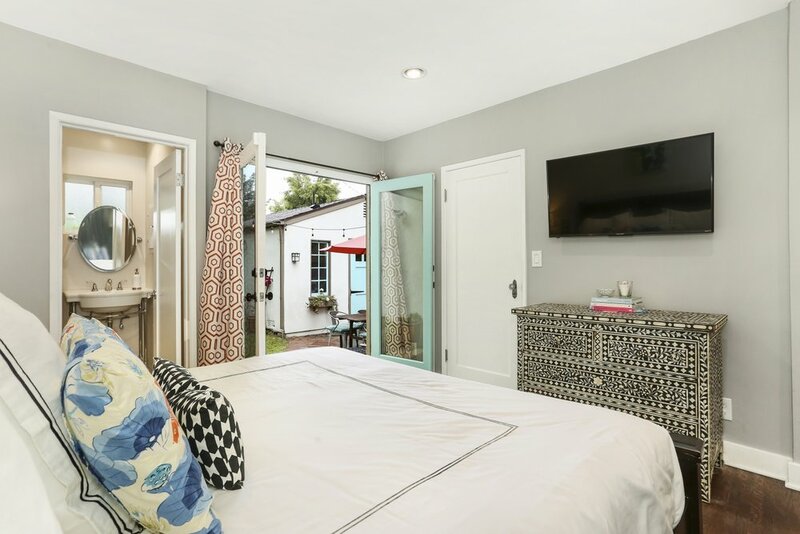 The spacious master suite is an escape from the day-to-day with a built-in vanity and French doors that usher you outside to the flagstone patio and lush backyard. 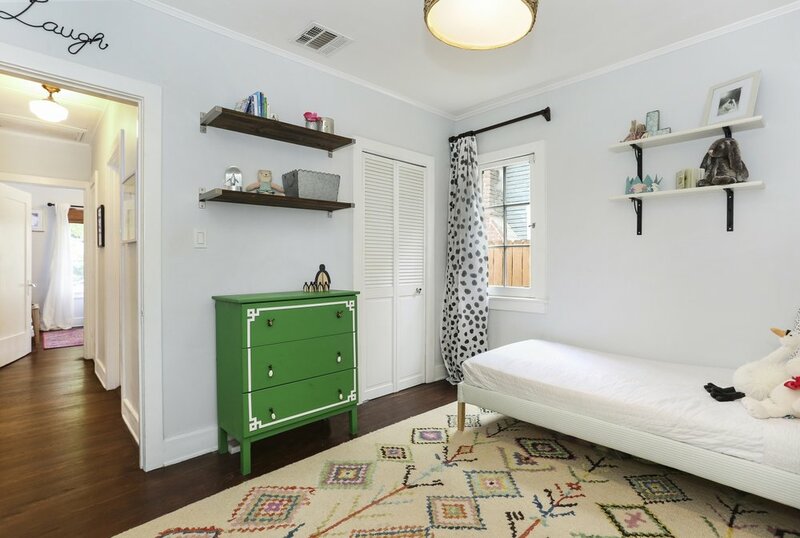 The other two bedrooms are spacious, bright and perfect for kids or visiting family and friends. 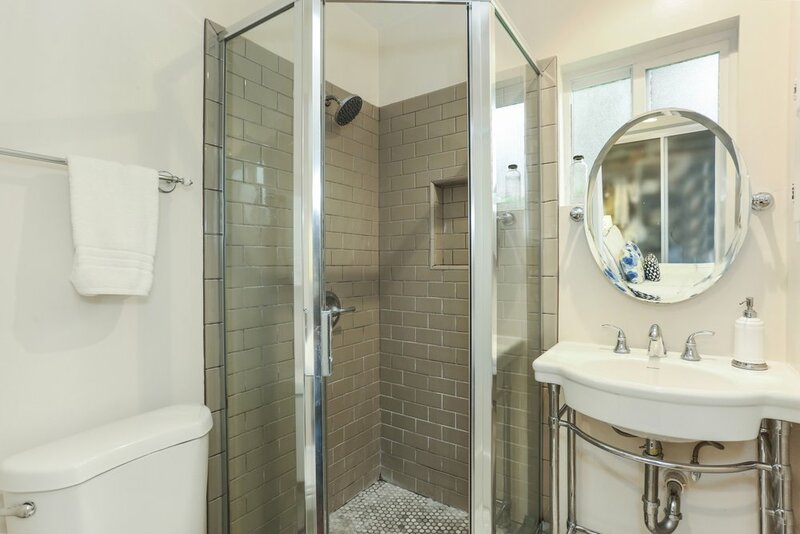 The detached permitted studio presents a unique opportunity for an additional room complete with AC, a kitchenette and additional bathroom. The property also features an array of fruit trees including: orange, fig, olive, and avocado. 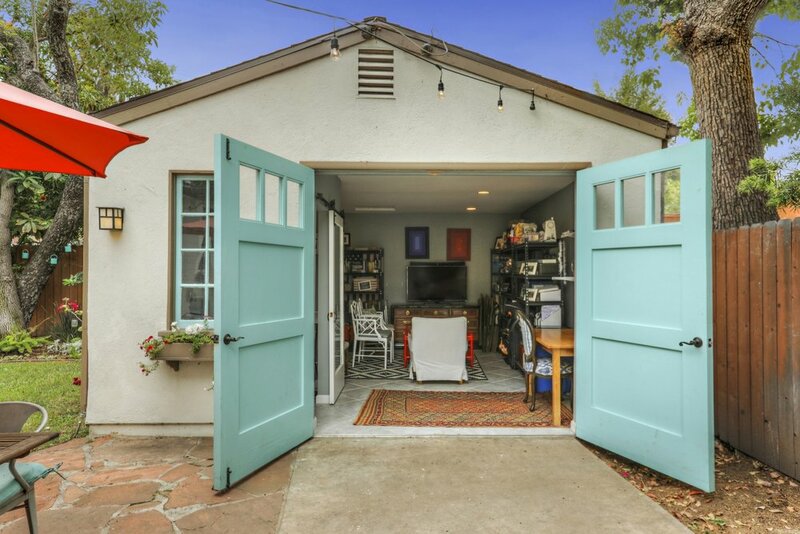 At 460 Atchison, you will find yourself feeling far away from the hustle and bustle yet just minutes from the Rose Bowl and the 210 freeway.